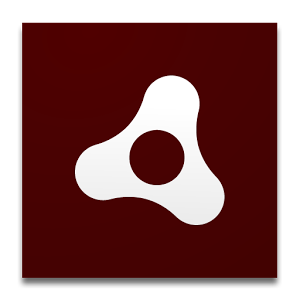 Adobe AIR, the sister runtime to Adobe Flash Player, enables the delivery of standalone applications that run outside the browser. With AIR, developers can deploy applications that connect to the web and run as standalone applications without requiring a web connection. AIR applications offer all the advantages of traditional standalone apps, such as the ability to run in the background for multitasking or to access a local data base. The Adobe AIR runtime enables developers to package the same code into native apps for Windows and Mac OS desktops as well as iPhone, iPad, Kindle Fire, Nook Tablet, and other Android™ devices, reaching the mobile app stores for over 500 million devices. • Webcam support for StageVideo. Utilize GPU acceleration to render webcam video streams with better performance. • Stage 3D accelerated graphics rendering for iOS and Android. Explore a new architecture for high-performance 2D/3D GPU hardware accelerated graphics rendering by Adobe, which provides low-level Stage3D APIs for advanced rendering in apps. • Native extensions for Adobe AIR. Use native code to take advantage of the same platform- and device-specific native capabilities and APIs available to native apps, with easy integration into AIR applications. • Captive runtime support. Developers now have more flexibility with their app packaging options and can automatically package AIR 3 with their Android, iOS, Windows, and Mac OS app into a single installation file that includes the app and a bundled version of the AIR runtime. • Stage video hardware acceleration. Leverage hardware acceleration of the entire video pipeline for best-inclass high-definition (HD) video playback experiences. Reduce processor and memory usage and enable smoother video, and higher fidelity on mobile and TV devices. • New mobile features for Android, BlackBerry Tablet OS, and iOS. Work with powerful features for the development of expressive, high-performing applications for Android, BlackBerry Tablet OS and iOS. • H.264/AVC software encoding for cameras. Stream beautiful video from your computer’s camera with higher compression efficiency and industry-wide support, enabling both high-quality real-time communications (e.g., video chat and video conferencing) and live video broadcasts. • iOS push notifications. Use Apple Push Notification Service (APNS) and a provider (a third-party server that will communicate with the APNS) to generate push notifications. • Support for Retina display. Build your AIR applications on iOS with iOS 5.1 SDK and leverage the enhancements available, including Retina display support. • iOS 6 SDK support. Create and publish apps targeting Apple’s latest mobile operating system with support for the iOS 6 SDK. • Debug stack trace in release builds of Flash Player. Allow developers to display stack trace information in release builds of Adobe Flash Player. 0 Response to "Adobe Air terbaru September 2018, versi 31.0.0.96"